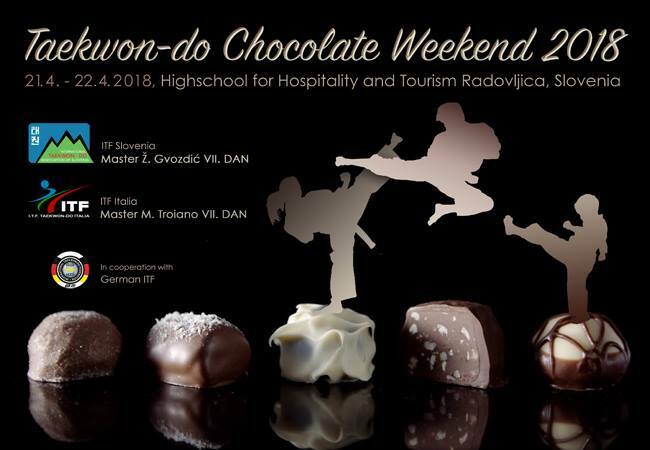 21.4.2018 and 22.4.2018 ITF Slovenia and Master Željko Gvozdić host the Taekwon-Do Chocolate Weekend in Radovljica, Slovenia, which will take place in the large gym of Highschool for Hospitality and TourismRadovljica, just in time of Radovljica Chocolate Festival. The event organized jointly by the ITF Slovenia and ITF Italia in cooperation with the German ITF. Taekwon-Do Chocolate Weekend will be led by Master Željko Gvozdić and Master Maurizio Troiano in collaboration with Iris Galinski, IV. DAN and Jana Galinski, V. DAN. The event will be held In the beautiful little town of Radovljica, Slovenia. Its aim is to exchange experience, share knowledge and make lasting friendship with other Taekwon-do Organisations throughout EU. Kindly welcome all Taekwon-do clubs and teams.